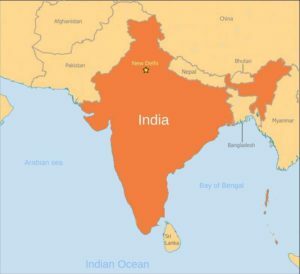 HYDERABAD, India (Morning Star News) – A hard-line Hindu has confessed to attempting to murder a pastor in southern India as the Christian leader was praying at night, according to police. Shiva Narayana was charged with attempted murder, punishable by imprisonment of up to 10 years and a fine, with the possibility of imprisonment for life. Pastor Koti Reddy was unconscious when he was brought to the hospital, Dr. Sudheer Bhargava Reddy told Morning Star News. “If he had been brought in 30 minutes later, we would not have been able to save him,” he said. At least twelve units of blood were intravenously transfused into Pastor Koti Reddy’s body, Bhargava Reddy told Morning Star News. Surgery on Friday (April 6) to repair the pastor’s right arm was successful, and the same operation, involving plates and screws, will take place this week on his left arm, Bhargava Reddy told Morning Star News. “It would take at least 45 days for the patient to move his hand, and in order to be able to use his hand very well, he needs to rest for at least 75 days,” he said. He said that a CAT scan shows no major damage to the pastor’s head, and that his frequent headaches can be minimized with medicines and rest. Pastor Koti Reddy’s wife said God allowed him to live. The couple’s children were deeply disturbed to see their father’s condition at the hospital, Shanti said. “I am trying to be strong for them,” she said. The member of the Legislative Assembly from Guntur West, Phillip C. Tocher, visited the pastor and his family in the hospital on Tuesday (April 3). After doctors briefed him on the pastor’s condition, he told the family that the ruling Telugu Desam Party would pay all the expenses for treatment, they said. Originally from Giddalur in Prakasam District, Pastor Koti Reddy moved to Rentachintala village 20 years ago with his wife and children, where he now leads a house church. The couple moved from Krishna District to Rentachintala village after Pastor Koti Reddy told his wife that God was calling him to serve there, she said. The pastor bicycled around the village sharing the gospel, she said. “He distributes gospel tracts, and if people show interest, he would have deeper discussions with them, and pray with them even on the road,” Shanti said. The pastor habitually began his days at 5 a.m. and would spend at least three hours in the morning on his knees worshipping the Lord, she said. The family requested prayer for healing for the pastor and strength for them.